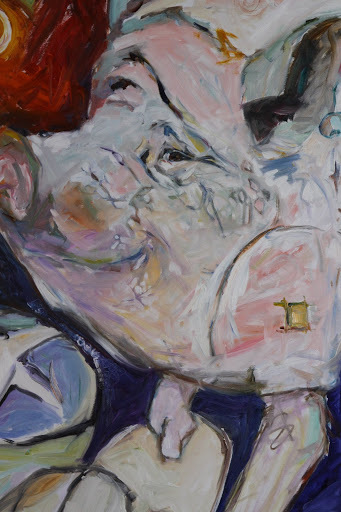 My Pig seems to share my sentiments exactly…I have painted a series of these free-form paintings…this one is 2’x4’…I begin with a subject but then create and paint freely. I am comfortable with animals because I love them and as long as I create the personality then I am home free with the rest of the painting. Seems like a happy pig!